Cosmetic Ingredients, Toxins and Your Health! 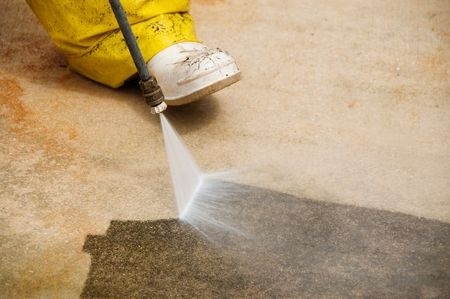 Quick Question: If cosmetic ingredients effectively scours your garage floor, do you want it in your facial cleanser? Major loop holes in Federal Law Allow the cosmetics industry to put thousands of synthetic chemicals into personal care products, even if those chemicals are linked to cancer, infertility or birth defects. At the same time as untested chemicals have been steadily introduced into our environment, breast cancer incidence has risen dramatically. The cosmetics industry uses thousands of synthetic chemicals in its products, in everything from lipstick and lotion to shampoo and shaving cream. Many of these substances are also used in industrial manufacturing processes to clean industrial equipment, stabilize pesticides and grease gears. Phthalates are a group of endocrine-disrupting chemicals that are found in cosmetics like nail polish and in synthetic fragrance—both perfumes and fragrance ingredients in other cosmetic products. Phthalate exposure has been linked to early puberty in girls, a risk factor for later-life breast cancer. Some phthalates also act as weak estrogens in cell culture systems. Triclosan is used in antibacterial soaps, deodorants and toothpastes to limit the growth of bacteria and mold. The chemical, which is classified as a pesticide, can affect the body’s hormone systems—especially thyroid hormones, which regulate metabolism—and may disrupt normal breast development. Widespread use of triclosan may also contribute to bacterial resistance to antimicrobial agents. 1,4-dioxane is not listed on ingredient labels. It is a petroleum-derived contaminant formed in the manufacture of shampoos, body wash, children’s bath products and other sudsing cosmetics. The International Agency for Research on Cancer (IARC) has ranked it as a possible carcinogen, and the National Toxicology Program (NTP) has identified it as a reasonably anticipated carcinogen. Parabens are a group of compounds widely used as an antifungal agent, preservative and antimicrobial in creams, lotions, ointments and other cosmetics, including underarm deodorants. Ethylene oxide is used to sterilize surgical instruments. It can also be a contaminant of personal care products such as shampoos and body washes, because it is used to buffer the harshness of some sudsing agents, and trace amounts can be left behind. It is classified as a known human carcinogen and is one of 51 chemicals that the National Toxicology Program (NTP) identifies as mammary carcinogens in animals. 1,3-butadiene is a contaminant found as a result of using isobutene as a propellant in Shaving creams, spray sunscreens and foundations, and anti-fungal treatments . Exposure occurs mainly through inhalation. This chemical has been found to increase mammary tumors. Polycyclic aromatic hydrocarbons (PAHs) are a group of chemicals that occur naturally in coal, crude oil and gasoline. One of the more common PAHs is naphthalene. Some cosmetics and shampoos are made with coal tar and therefore may contain PAHs. They have been shown to increase risk for breast cancer in rodents. Placental extract is derived from human or animal placentas and is used in hair conditioners, shampoos and other grooming aids, particularly those marketed to women of color. The National Toxicology Program (NTP) has identified progesterone, the major hormonal contaminant in placental extracts, as a reasonably anticipated carcinogen. Lead may be a contaminant in over 650 cosmetic products, including sunscreens, foundation, nail colors, lipsticks and whitening toothpaste. Lead is a proven neurotoxin, linked to learning, language and behavioral problems. It has also been linked to miscarriage, reduced fertility in men and women, and delays in puberty onset in girls. Lead and other contaminants such as cadmium, aluminum and other heavy metals are a serious concern, especially among young girls who slather on copious quantities of lip stick frequently throughout the day. 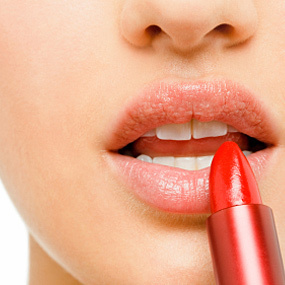 There is a relatively simple test that can tell you if your lipstick or eye shadow contains lead. EWG is a non profit, non-government controlled organization that reviews products for toxicity and harmful chemicals and maintains a comprehensive data base of common household products. It is a great resource. Check out your favorite cosmetics then make the switch to organics. Since 1985, over 20,000 new chemicals have been introduced and are soaking our environment, our children and you. And yes! the FDA and EPA allow it. These industries are, to a great extent, unregulated. To learn more about toxins in your home and body and your children, check out The Toxic Truth. The magnitude of the problem will astound you. Did This Help You think about the question, “cosmetic ingredients – safe or not?” If yes, I would greatly appreciate it if you commented below and shared on Facebook.